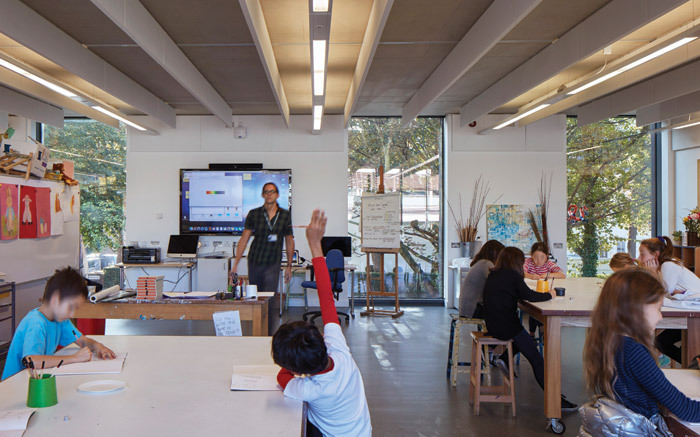 The American School in London (ASL) has opened its new arts building, as completed by architecture practice Walters & Cohen. 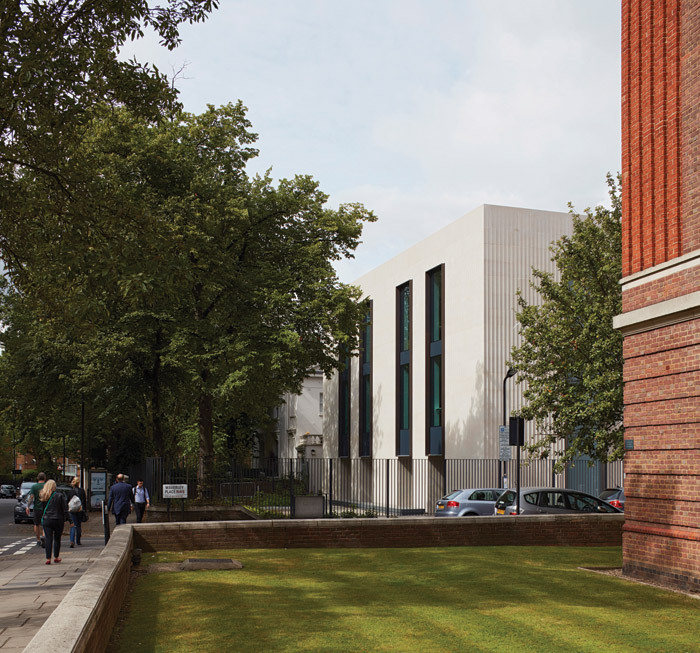 Located in St John’s Wood, the independent school has already been subject to a much larger master plan as undertaken by ORMS, with Walters & Cohen working closely in a team to deliver the new space on a ‘land-locked’ site. It presented many challenges for the practices. The arts building takes its visual cue from the listed, semi-detached villas on the site adjacent to the school, with the new four-storey building designed to resemble a single large property. The complexity of the project was heightened by its location on a prominent corner plot in the St John’s Wood conservation area, where proposed developments attract a lot of attention. 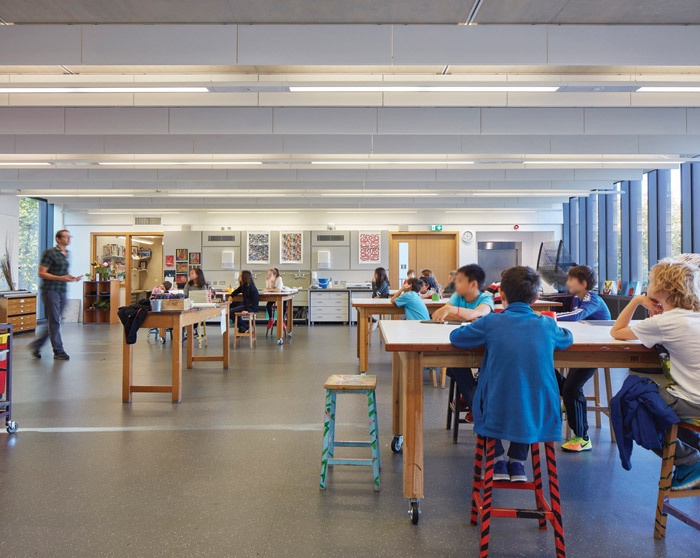 ‘[Securing] planning permission was a challenge and, with the school already maximising the use of land, it meant we had to go up, and the design had to be sensitive to its surrounding environment,’ says Walters & Cohen associate Tim Hardy. And excavating down posed other complications, with a railway tunnel leading to London Marylebone station, running under the school. Liaising with the ASL’s board of governors, ward councillors and local politicians, Walters & Cohen presented its concept design at a three-day public exhibition, which was well received. The facade, one of the major concerns, features a range of materials including recycled glass, stucco flutes and marble; stone was considered the most appropriate material on account of its elegance and traditional qualities. It draws on the timeless quality of stone, while being expressed in a contemporary manner. Light plays on the facade and its hand-finished, fluted-limestone features that fade towards the top of the building, while bronze-framed windows give another reference to the local architecture. 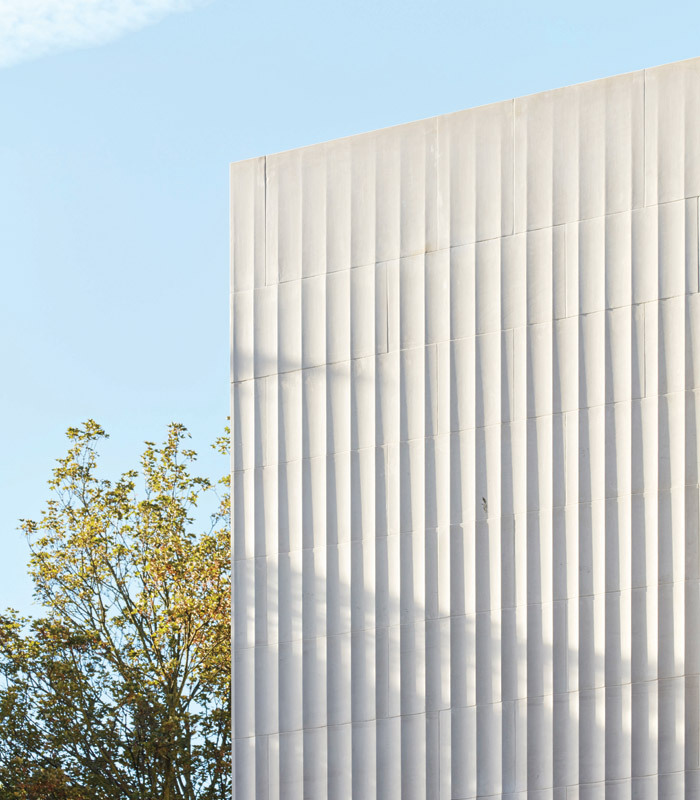 ‘We didn’t want a concrete bank,’ says Hardy, ‘and this offers a softness to the exterior, which is expressed in the natural sunlight. The north-west facade has a series of fins to stop being overlooked by neighbouring flats’. Internally, the space has been designed for practical use, which could see some 1,100 students, ranging from across the school’s elementary, middle and high school levels, use the building. Walters & Cohen has ensured a large floor plate, with stairs on either side of the building, allowing for large, open floors, free from columns and flooded with natural light. The ground floor provides exhibition space, with art, sculpture, ceramics and photography studios on the other three floors. While the upper three floors are open, the ground floor gallery space features a dry-lined wall, which can be easily removed.